Undergoing a deep cleaning, a procedure that is also known as a scaling/root planing, can help a patient recover from periodontal health issues. This preventive dental treatment goes further than a traditional cleaning to address bacteria that have gathered under your gum line. By fighting accumulations of harmful agents beneath your gums, your Bellaire, TX dentist can help you avoid issues with gum disease, which can become a serious problem if left unaddressed. You might not realize it, but advanced gum disease is the most common reason a person will lose teeth in their adult years. It can be difficult to manage a periodontal infection at an advanced stage, which is why you should seek treatment before you reach this point. A deep cleaning defends you against periodontal troubles by removing any bacteria that have accumulated under your gums. In addition to removing bacteria already present, your dentist can take care of your teeth to make it harder for bacteria to build up in the future. 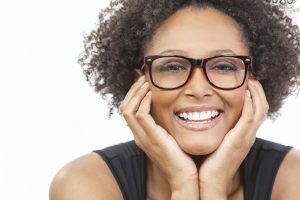 If your condition has already advanced when you seek this procedure, your smile may need continued attention to limit the impact of gum disease on your oral health. Quality preventive dental care can help you avoid experiencing troubles from various oral health conditions. When you keep current with your regular dental exams, you can stop problems from impacting your appearance and well-being. Remember that every checkup you attend involves a routine teeth cleaning as well as an examination. These combined efforts can give you a key advantage in your smile defense. At Contemporary Dental And Orthodontics, you can look forward to consistent preventive dental care. In addition to helping Bellaire, TX families avoid troubles with their teeth, our practice is ready to help you address any problems that might impact the way you look, or your oral health. For more information, you can schedule a consultation by calling Contemporary Dental in Bellaire, TX, today at 713-668-9119. We are proud to welcome patients who live in Bellaire, Houston, West University/Southside Place, Southwest Houston, the Galleria area, and all other surrounding communities.